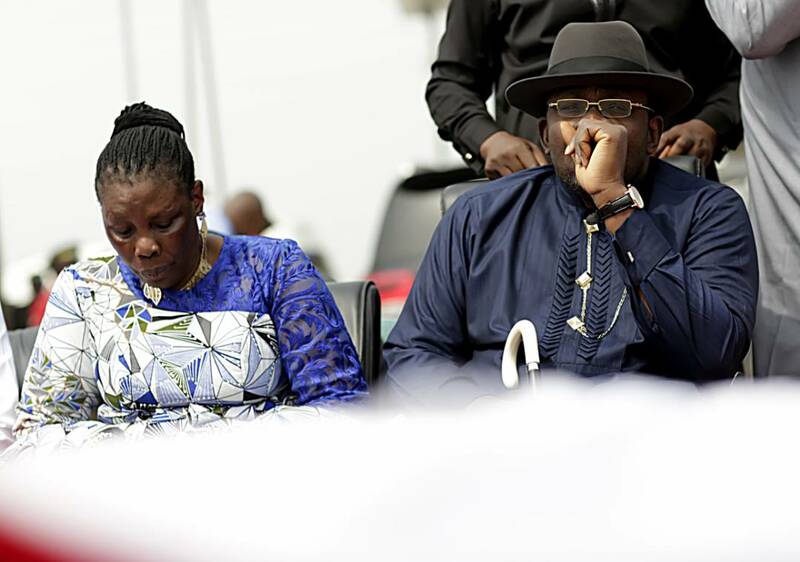 The remains of Mrs GoldCoast Dickson, the mother of Bayelsa State Governor, Seriake Dickson, will be laid to rest on December 8, 2018, in Toru-Angiama, Delta State. According to a statement signed by Dickson, on behalf of Nanaye Dickson family of Toru-Orua in Sagbama Local Government of Bayelsa State, and the Enimieye compound of Toru-Angiama of Delta State, there will be service of songs on Thursday, December 6, at the Ecumenical Centre, Yenagoa, Bayelsa State, by 5:00 p.m. This will be followed by service of songs/traditional wake at Dickson’s compound, Toru-Orua, on Friday, December 7, from 5:00 p.m. till dawn. On Sunday, December 9, 2018, there will be outing and thanksgiving service at the Palace of Melchizedek, Toru Orua, Sagbama Local Government Area, Bayelsa State, by 11:00 a.m.